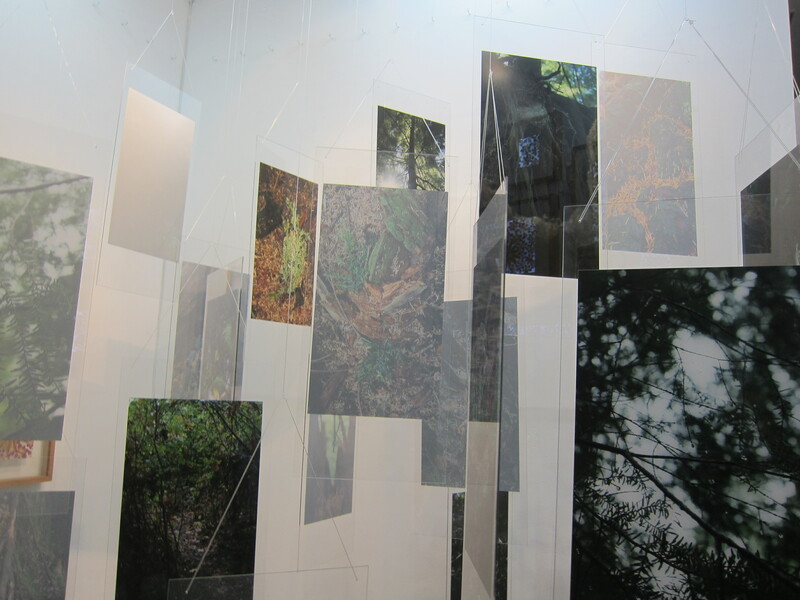 Petals and The Evergreen is a parallel meditation by Jay Yao and Olivia d’Aboville on the fragile and austere exquisiteness of nature. 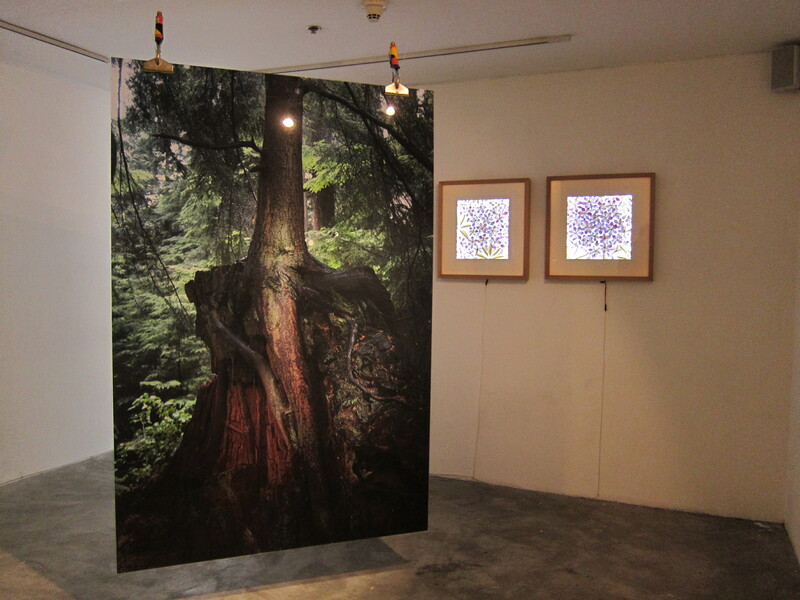 Jay Yao posits a series of photos of a coniferous tree he has taken and the process by which he undertakes them as a form of Haiku, invoking the Japanese idea of negative space or “Ma” : “In haikus, the simplification of words, encourages the viewers to create their own narratives. The reader is forced to create meaning due to the few words within a haiku. As an art form, the camera is the closest tool a person can use to archiving reality, and while a single image is usually seen as documentary evidence, as viewers we can’t help but create our own personal narratives once two or more images are grouped together. Recycling and up-cycling plays a big part in Olivia’s artistic approach. 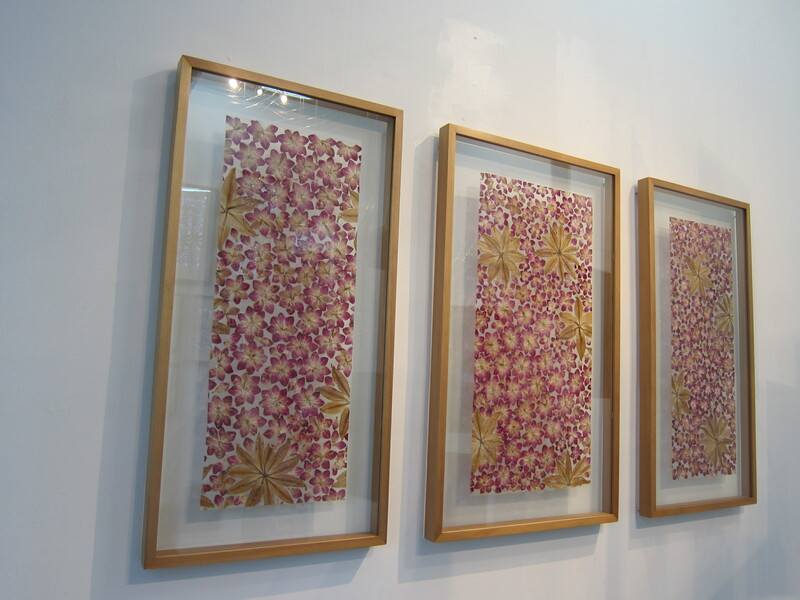 For her pieces in Petals and The Evergreen, she transformed an existing large scale tapestry of hers into new individual smaller light boxes. For 3 months, she gathered discarded orchids and lilies from the Manila Peninsula Hotel and carefully dried the thousands of petals. The process was laborious and repetitive, consistent with her usual practice. Jay Yao (Jose Campos III) was raised with one foot in Vancouver, Canada the other in the Philippines. Yao did his thesis photography exhibit on Canadian-Asian identity at Hampshire College. After college Yao moved to New York to further his skills as a photographer. Yao has had solo exhibitions at Hiraya Gallery (Manila), Museum Pambata (Manila), Silverlens (Manila), Tixe Artspace (New York), and quite recently in Celestina (Manila). He has been sponsored by the Canadian and Mexican embassy on numerous occasions. His group exhibitions include “New Natives”, Lightbombs (Hong Kong), and “Art Connexions: SYD – MLA – KUL” at the Australian Center of Photography (Sydney). 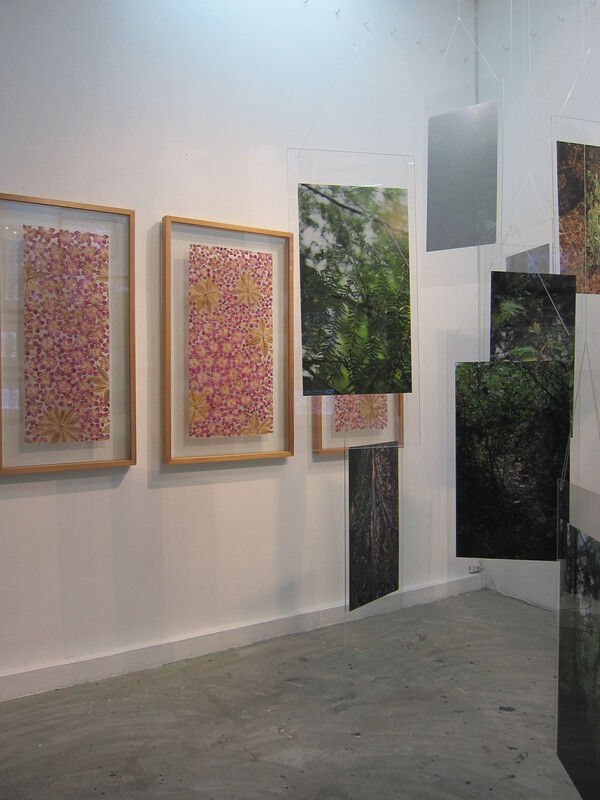 In 2005, Yao represented the Philippines for the Goethe-Insitut project “Art Connexions: SYD – MLA – KUL.” Yao’s “Homecoming” series was nominated and short-listed for the Ateneo Art Awards in 2014. He currently lives in Manila. Olivia d’Aboville is a French-Filipino artist who graduated with honors from ESAA Duperré in Paris in 2009. In her work, she explores the relationship between the organic and the synthetic in both aesthetic expression and in her choice of materials. Her artistic vision is rooted in her rigorous and unconventional approach to textile techniques and her commitment to using recycled or up-cycled materials to address concerns about the environment. D’Aboville has exhibited in museums, galleries, hotels and festivals in Paris, Lyon, Hong Kong, Manila, NY and Singapore. Her works range from textile jewelry, to sculptures, to lighting designs and installation art.